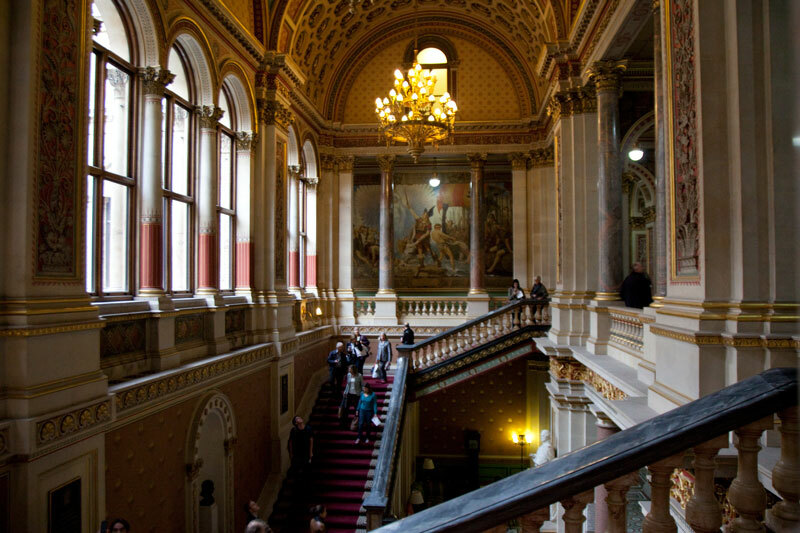 Another peek inside the Foreign Office. In my post the other day I promised more glimpses of this impressive building from my Open House visit. Very grand indeed. But it is the aroma of those old buildings that I adore, nothing else quite like it. It looks very opulent Mo. the paintings and the arched ceiling..it really is a beautiful building. Well captured. There seems to be something fabulous to see all around this building. This is another beautiful view.